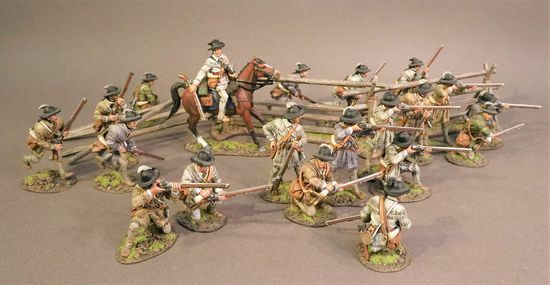 Morgan’s Riflemen or Morgan’s Rifles, were an elite light infantry unit Commanded by General Daniel morgan in the American Revolutionary War. It served a vital role, because it was equipped with what was then the cutting-edge rifle instead of muskets, allowing superior accuracy at up to ten times the distance of the typical muskets of the troops of the day. Released March 2019! Please note for International Orders our "Reduced shipping promotion" is available, contact us for details.